Our volunteers lift up communities here in Canada and abroad! Did you know that millions of Canadians volunteer every year? 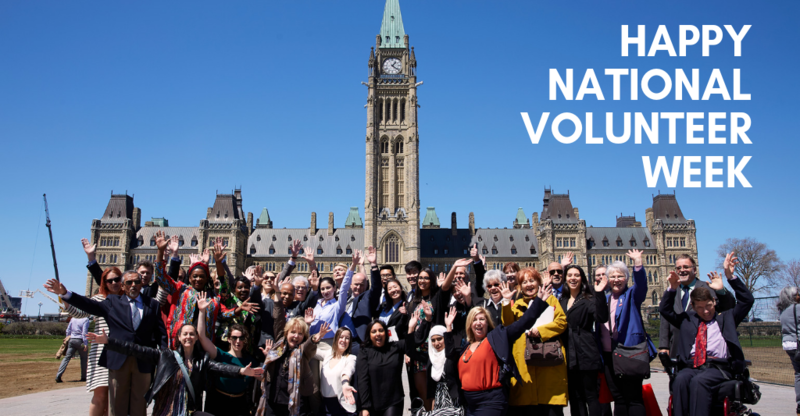 From April 7 to April 13 2019, Canada shines the spotlight on Canadian volunteers from coast to coast, and there’s a lot to celebrate! At RESULTS Canada we’re grateful and fortunate to have many incredible individuals who work tirelessly towards a world without extreme poverty. Our engaged volunteers engage in an array of actions: they raise awareness through global initiatives like the World Tuberculosis Day, they write hundreds of letters to the editor, they engage with their Members of Parliament, they spread awareness on social media, and they do a lot more to help make positive change around the world. Thanks to these countless and strategic actions, volunteers have immensely contributed to incredible wins in 2018, which led to increased resources for programs and improved policies that mobilize health, education and opportunity for those that need it most. Being part of RESULTS Canada means being part of a family of individuals who truly care and share a vision that change is possible. Together, we support each other, we explore and learn about the power of advocacy, and we become leaders of change – a movement of empowered citizens! Thank you to all the volunteers who have made this community what it is today, and for your dedication and passion towards a more just and equal world! Do you want to use your voice in a meaningful way? Volunteer with us! Fill out this quick online form to let us know that you’re interested in using your voice for a more just world!